Diamond Ranch is a spectacular & private 350-acre ”in-holding” within five minutes of downtown Telluride and the tarmac of the Telluride Regional Airport. The ranch offers 360-degrees of awe-inspiring views, rolling meadows, flat benches, flowing creeks and forests, and is the last opportunity of its kind within the region to create a private family compound or recreational retreat in immediate proximity of Telluride’s world-class resort and communities. Paved access roads and all utilities are already in place with years spent on planning, approvals, site work, and infrastructure. Multiple home sites have been identified, each with their own distinct character and appeal. 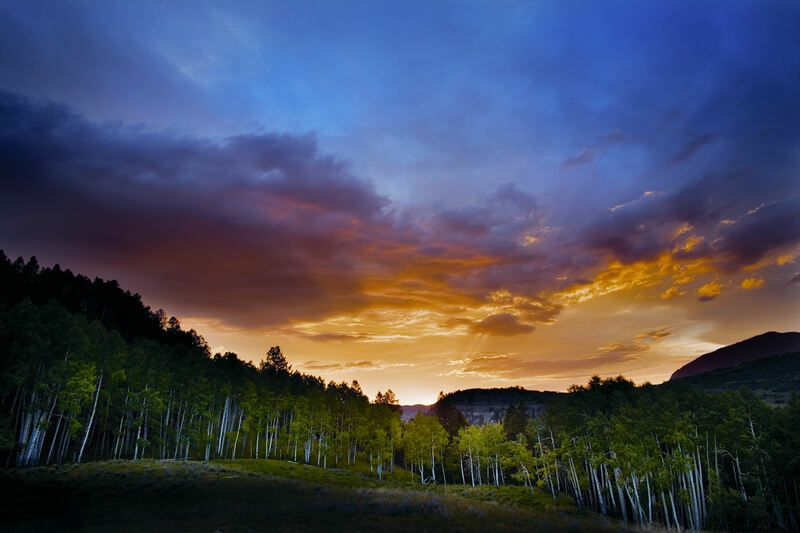 Bordering National Forest on two sides, the ranch has a sense of escape combined with access rare by any standard. 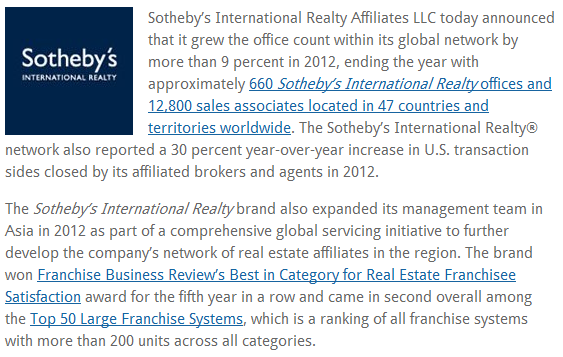 READ MORE: Sotheby’s International Realty Grew Worldwide Network in 2012. Custom-built finishes and details highlight the dramatic spaces of the signature Centrum Penthouse. This four-bedroom residence features grand vaulted ceilings framed by reclaimed hardwood timbers. 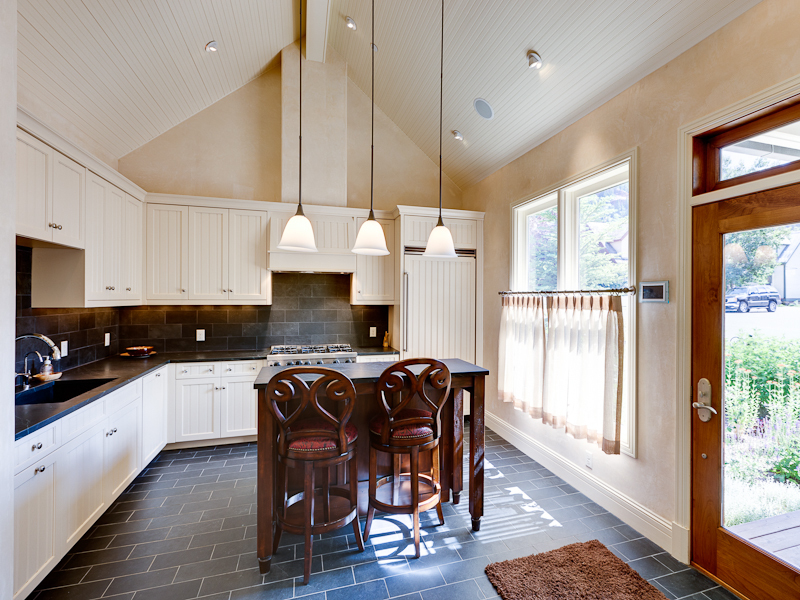 Native stone and rich hardwoods, give the residence a rustic elegance, without compromising its comfort. Hand-forged iron work adorns the dry-stacked stone fireplace & hearth. The Main Level features Master & Guest Master suites, along with an intimate den / office, sitting areas, gourmet kitchen, dining and southwest-facing decks; while the Upper Level offers two separate guest bedroom/bunkrooms, along with a comfortable entertainment / sitting area. A private, deeded parking space offers seamless access by private elevator to the residence, lobby or Mountain Village pedestrian core. 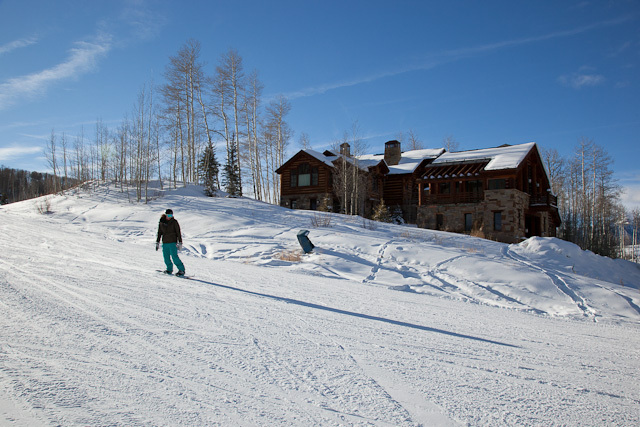 Located on one of the finest lots in all of Mountain Village, the Russell Drive Estate combines seamless ski-in/ ski-out access with direct frontage on the Telluride Golf Club’s picturesque 3rd Hole. This grand new residential compound offers a rare assemblage of spectacular views, all-day sunshine and end-of-the-road privacy, yet is located within close proximity to the Gondola, shops, restaurants, spas, golf, tennis, and a world-class pedestrian ski village. Featuring a dramatic six-bedroom Main Residence and separate two-bedroom Guest House, the property is ideally-suited for family, friends and entertaining, or as a retreat for business or philanthropic interests. 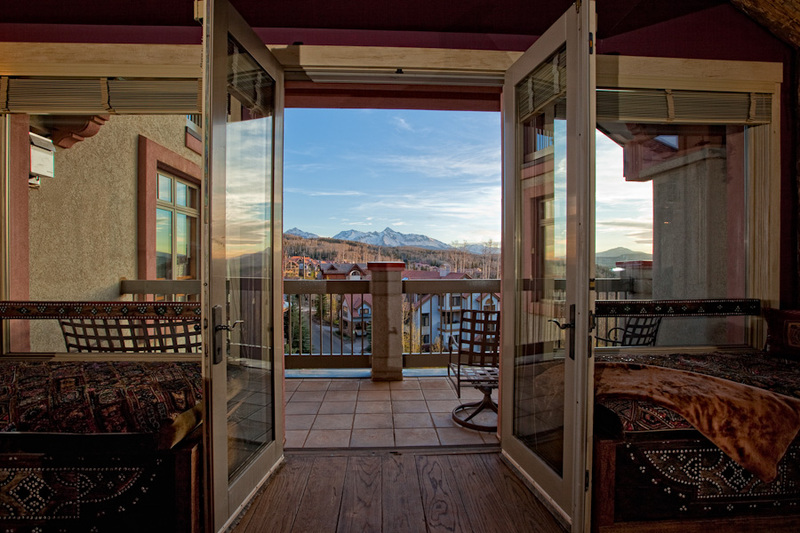 Set within one of the most sought-after locations in the heart of historic downtown Telluride, this four-bedroom residence offers the very best in resort living. Just steps away from skiing, the free Gondola, River Trail, restaurants & shops, an owner will never need to get back in their car once they arrive in this storybook setting. Born of a collaboration between a highly respected developer, his architect, and builder; the residence is thoughtfully designed to accommodate friends & family in understated yet sophisticated living spaces in the ”middle of it all”. Wonderfully appointed guest suites, baths and kitchens will satiate those with a passion for design, while separate sitting/living areas allow for generations of family to gather, relax or recreate. Offered furnished if desired. 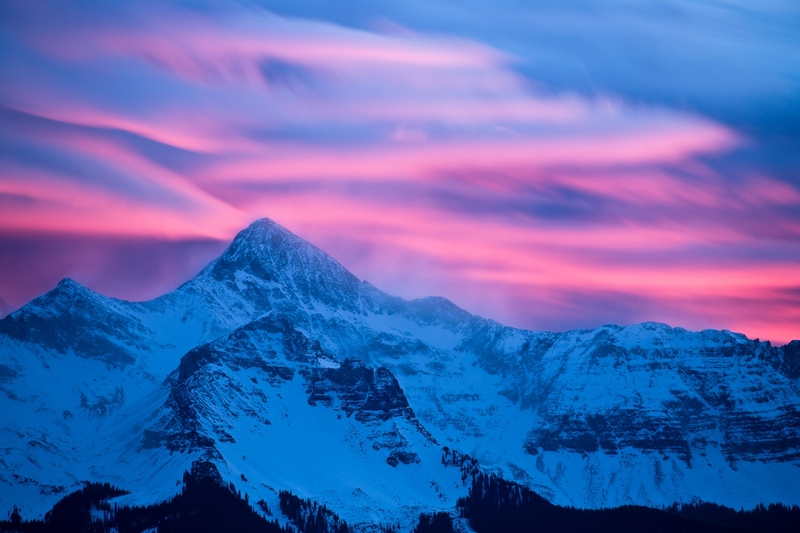 Despite a slow start to sales in 2012, the Telluride real estate market showed substantial momentum across both Q3 & Q4 with some dramatic sales activity across multiple market segments through the end of the year. The market saw a new record number of transactions close over the $10m mark for the year with two sales over $12m in Mountain Village, one over $12m in Gray Head, three other ranch sales over $10m in the outlying areas, and several others north of $6m. There was a flurry of activity within the historic Town of Telluride, with transactional volume up over 30% for the year and prices per square foot moving above the $1,000 per foot mark for homes over $2m.